Each and every feeling you wish to share, say it with gerbera. Happiness, love, pride. The gerbera is a flower that excels in diversity and colour, making almost anything possible. To make it easy, we have brought the seven categories together on the website. This way you can easily filter on colour, shape and size. Search for example by name or colour and discover which grower supplies which flower. 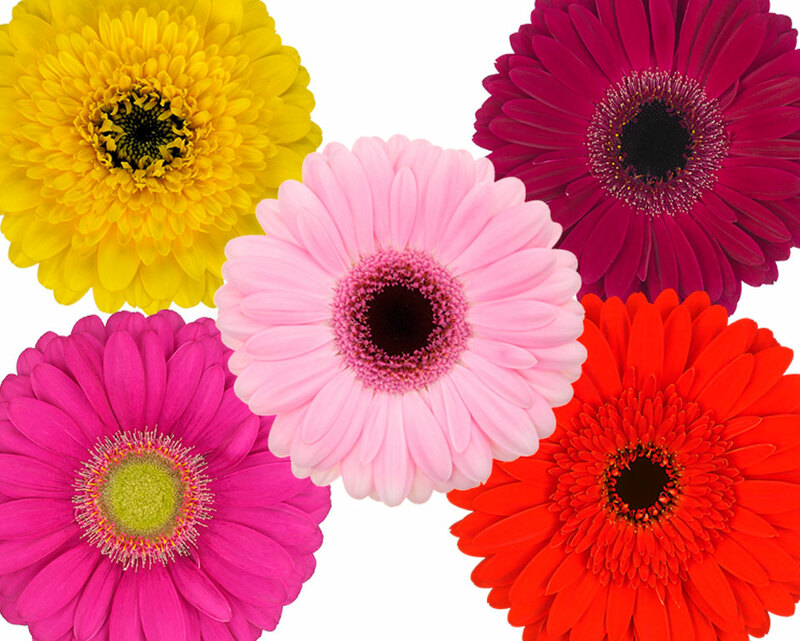 Our growers and breeders are the driving forces behind the colourful and cheerful gerbera. They get up before dawn to deliver the very best result with attention and passion. One of the most sold cut flowers in the world, fresh supply every day. The most beautiful gerberas are picked by hand by the growers every day. With more than 500 varieties, a flower that excels in diversity and colour. Discover the latest gerbera trends and view our inspiration boards or download one of our gerbera magazines.